Would NOT smell as, well, ah...sweet! In JK Rowling's deft hands, character names are more than just a reflection of the personality of its owner. While many writers like to pick apart JKR's prose for overuse of adverbs or other small infractions, one technique she is almost universally admired for is her ability to craft unique, meaningful, and enchanting names. 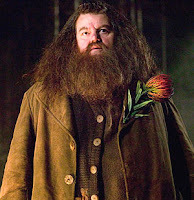 I mean, siriusly, can you imagine Rubeus Hagrid as a Robert Harris? Or Albus Percival Wulfric Brian Dumbledore as Albert Davis? But JKR's talent was not just in giving her characters a whimsical, though accessible, name which made them seem fully a part of their magical world. It was most importantly her ability to craft a name which carried hints of the mystery surrounding that character. For example, many fans (myself included) are still convinced that when the Harry Potter Encyclopedia comes out, Dumbledore's animagus form will be revealed as a bumblebee. After all, Dumbledore is an old English word for bumblebee, and he always seemed to be humming about the place. And can you imagine that a former Transfiguration professor and a wizard as skilled as Dumbledore never learned to transform himself? Years ago, when the HP books were new and fans were first beginning to share their enthusiasm over the Internet, the main clues being discussed were the meanings behind names. Readers quickly caught on that many came from myths; others from places; some were named after flowers or stars; and then there are JKR’s own creations, combinations of words with new meanings (such as Umbridge, a portmanteau from umbrage and bridge, as she provided a connection from the school to the ministry). All types of names were strikingly relevant to the character or object they represented, and most held some sort of clue regarding that character's role in the series. Argus Filch = Argus Panoptes from Greek mythology. Argus of the 100 Eyes made a great watchman, just like nasty old Filch. Draco = Draco constellation, draco means dragon, a reminder of his serpentine Slytherin family. Grimmauld Place = definitely a grim old place, but it might also be a play on the Brother’s Grimm and a nod to their fairy tales. Minerva McGonagall = named after the Roman goddess of wisdom and war. She resembles a distant, austere goddess (with a warm side she reveals upon occasion), but a very apt second in command, as shown in Deathly Hallows. When is a Horcrux not a Horcrux? When it is an ancient Cross of Horus. 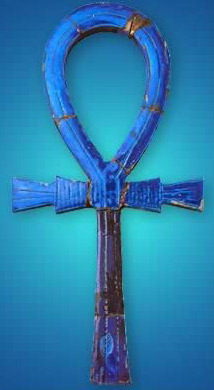 Many of you have probably heard of an ancient Egyptian amulet called the ankh, which is still popular in jewelry today. And you may even know that it was a symbol representing eternal life. But did you also know that it was sometimes called the Crux Ansata by Coptic Christians and early Egyptologists, who also referred to it as the Cross of Horus? Why Horus? Well, the god Horus was the son of Osiris. Osiris, the father, represented the deceased Pharoah. Horus the son, however, was the embodiment of the Pharoah who lived. He was commonly pictured as a falcon, lord of the skies. In paintings on tomb walls of the Egyptian judgment scene, the weighing of the heart, you would frequently see Horus with his falcon head, carrying the ankh, the Cross of Horus, to impart the breath of eternal life to the lips of the deceased. He could also withhold the ankh and thus deny eternal life to those whose hearts were weighted down by misdeeds. 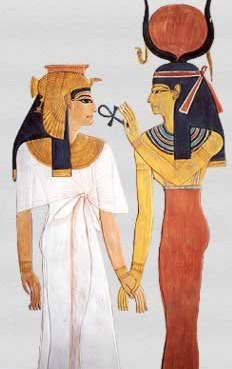 (Note: Many Egyptian gods and goddesses were shown holding the ankh, not just Horus, but in the Weighing of the Hearts scene, it was usually Horus who carried this key to life when presenting the deceased to Osiris for final judgment). So, what does any of this have to do with Harry Potter? Well, my other obsession with Harry Potter, besides helping writers learn to improve their own craft, has been in tracing the Egyptian mythological references which run through JK Rowling's stories. I think there are many, and I think the Horcrux is one of them. Hor + Crux = Cross of Horus. For Voldemort, his Horcruxes gave him eternal life. But when Harry, who represents Horus, got involved, they led to his final death. Harry urged Voldemort to account for his murderous misdeeds. When Voldemort refused to acknowledge any wrongdoing, it was Harry/Horus, who denied him eternal life. Most fans are familiar with the Greek, Nordic, and even Druid references which JKR wove into her subtext. But not as many picked up on the Egyptian. I think the Egyptian may have even been primary. In fact, I think that the whole reason for JKR to place Bill as a curse-breaker in Egypt, was to point the way there. But when I first presented the Horcrux = Cross of Horus theory back in 2005 at the Witching Hour conference in Salem MA, very few people were onto JKR's use of Egyptian subtext. Now, lots of fans have caught on. Over the years, I've analyzed many of these Egyptian references through the series and will share them, with time, here. 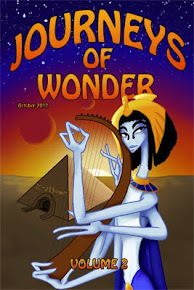 Follow the Egyptian Mythology label to read them all. And why point these out? Because in seeing how JKR used ancient myths and symbols as subtext for her stories, we can do the same. This layer of subtext is what gave her series such a rich depth and hooked her readers into searching out all the clues within. Fans delighted in finding these Easter Eggs of clues, hidden deep within her text. They scoured the Internet, searching out the meaning, and then plastered their theories of what was to come in the series based on their interpretation. As writers, especially if your story has mystery or fantasy elements, weaving in this layer of subtext will delight and engage your reader. Studying how it has been done by a successful author will help you improve your own craft. Have you used any ancient symbols or myths to add subtext to your story? For an example of the zoom detail (see prior article) which JKR weaves in so delightfully, I thought it would be good to look at a bit of world building which progresses throughout one story. Remember the mandrakes from Chamber of Secrets? Those wonderful potted plants which Professor Sprout was nurturing to stew up and give to Harry's classmates who had been petrified? JKR depicted the mandrakes with such humorous, human detail, which was only depicted in one scene in the movie. 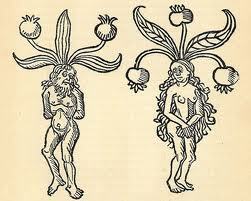 But in the books, bit by bit, she showed the mandrakes growing up. I thought it would be interesting to capture this clever progression in one place. Harry snapped the earmuffs over his ears. They shut out sound completely. Professor Sprout put the pink, fluffy pair over her own ears, rolled up the sleeves of her robes, grasped one of the tufty plants firmly, and pulled hard. Harry let out a gasp of surprise that no one could hear. Instead of roots, a small, muddy, and extremely ugly baby popped out of the earth. The leaves were growing right out of his head. He had pale green, mottled skin, and was clearly bawling at the top of his lungs. Professor Sprout had made it look extremely easy, but it wasn't. The Mandrakes didn't like coming out of the earth, but didn't seem to want to go back into it either. They squirmed, kicked, flailed their sharp little fists, and gnashed their teeth; Harry spent ten whole minutes trying to squash a particularly fat one into a pot. There had been no more attacks since those on Justin and Nearly Headless Nick, and Madam Pomfrey was pleased to report that the Mandrakes were becoming moody and secretive, meaning that they were fast leaving childhood. "The moment their acne clears up, they'll be ready for repotting again," Harry heard her telling Filch kindly one afternoon. "And after that, it won't be long until we're cutting them up and stewing them. You'll have Mrs. Norris back in no time." Note: this is really quite gruesome when you think about it. Professor Sprout is nurturing these baby mandrakes in order to cut and stew them up. It was one of JK Rowling's most memorable scenes from Order of the Phoenix, one that fans could not wait to see come to life on the big screen, and not just because they were eager to view the four marauders together, alive as teenagers. No, everyone wanted to see Snape and James go at each other. And many were dying to laugh at Snape's graying underpants. Behind [James], the Impediment Jinx was wearing off. Snape was beginning to inch toward his fallen wand, spitting out soapsuds as he crawled. "I wouldn't go out with you if it was a choice between you and the giant squid," said Lilly. "Bad luck, Prongs," said Sirius briskly, turning back to Snape. "OY!" I do not think those gray undies are thrown in casually for a bit of nasty flavor. Indeed, I think JKR possibly crafted this whole scene around them. This view through the Pensieve opens Harry’s eyes to the fact that he’d placed his father on a pedestal that was both unhealthy and unrealistic. The world is not filled with good people and Death Eaters, but ultimately most of us are various shades of gray. And that’s where Snape’s exposed undies come in. 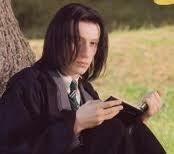 Snape, like his undies, is one of the grayest. Snape was deliberately constructed by his creator to be a man of uncertain allegiance, trusted by few, doubted by many, living in a world of shadows, existing on both sides of the Dumbledore/Voldemort divide. A man who intentionally concealed secrets and motivations. A character of ambiguity. PS/SS -- In this first book, the reader is presented with not one, but two dormant Harrys! First, we have the baby Harry swaddled in blankets in Hagrid's arms, sound asleep. Then, when we are introduced to the almost 11-yr-old boy, he is asleep in his cupboard under the stairs...but not for long. Aunt Petunia approaches. CoS -- The book starts out with Harry and the Dursley family at breakfast, and Uncle Vernon upset because he was awoken by Hedwig. However, after the reader is caught up on what happened in the first book, the first thing Harry says is "I'll be in my bedroom, making no noise and pretending I'm not there." (p. 7) Can't be much more dormant than hiding in your bedroom pretending not to exist. PoA -- "It was nearly midnight, and [Harry] was lying on his stomach in bed, the blankets drawn right over his head like a tent.." (p. 1) Harry is reading A History of Magic and trying not to get caught. GoF -- "Harry lay flat on his back, breathing hard as though he had been running." (p. 16) He's awoken from his dream of The Riddle House. OotP -- "The only person left outdoors was a teenage boy who was lying flat on his back in a flower bed outside number four." (p. 1) Rather an odd position to be in to listen to the news, don't you think? HBP -- "Harry Potter was snoring loudly. He had been sitting in a chair beside his bedroom window for the best part of four hours, staring out at the darkening street, and had finally fallen asleep with one side of his face pressed against the cold window-pane, his glasses askew and his mouth wide open." (p. 42) Harry has been waiting for the promised approach of Dumbledore, while not truly believing he would arrive. DH -- This is the book that breaks the pattern. Although Harry starts off in his bedroom, this time he is active, taking charge. He's been cleaning out his trunk all morning, preparing for his departure, and has cut himself on that broken mirror of Sirius', bleeding. So, why all this dreaming, sleeping, lying down, or pretending not to exist? When something like this happens once or twice in a series, it could be merely a coincidence. However, when a pattern is present in every single book, the author is obviously making a point. But, what could it be? 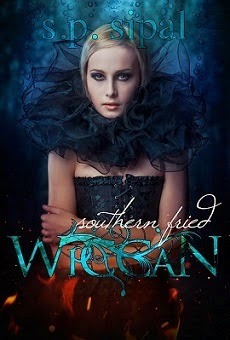 So, the most exciting thing on the web this past week was the first annual online Writers Conference at WriteOnCon.com. What a fabulous idea! 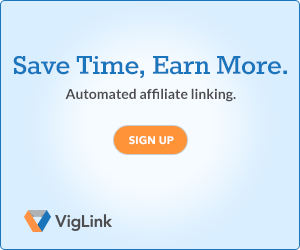 A conference online! No expensive plane trip or hotel room! No conflicts of timing! You can attend any and all of the workshops! And wonderful, extraordinary agent, editor, author resources, all at your fingertips! So, here's the notes I have so far from this wonderful event. Notice that I haven't yet finished attending all the workshops, and will add to this list as I do. Plus, this list is Tweet-style because I used Twitter to take notes (this includes being listed from newest to oldest, reverse order chronology). High school is a universal experience. Try to make your YA characters do things that is not expected. Don't treat them like adults; they're kids. 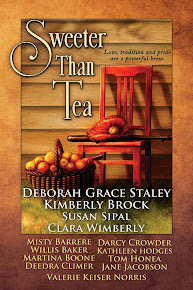 What is your character's primary conflict w/ each of the other characters in the story? & how does it change? Characters are defined by their relationships to other people, and all relationships are complicated. The worst thing that can happen in your writing is cliche. Having an entirely new mythos is a great way to make your story command the attention it deserves! When you are creating a new mythos, you have to be bold! You really have to change something! As you are creating your new and unique mythology, ground it in tradition. One thing JK Rowling did throughout her series was to give a cameo to a character in a book before that character truly had a starring role. For example, in the first book, the Dursleys talk about Arabella Figg as Harry's babysitter before she comes out as a squib in Order of the Phoenix. Likewise, Gregorovitch is mentioned as the maker of Krum's wand in Goblet of Fire before he becomes a carrier of an important secret and the target of Voldemort's wrath in Deathly Hallows. 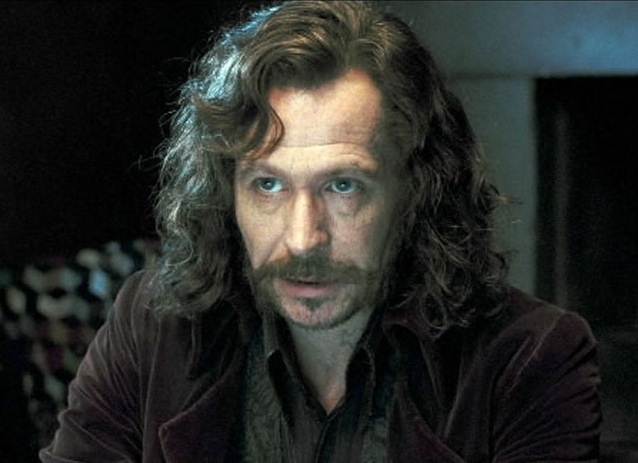 Notice that JKR plants Sirius into the very first chapter of her first book, even though he doesn't appear as a true character until two books later with Prisoner of Azkaban. She also gives a hint as to his character and role with that motorbike and his presence at Godric's Hollow. In Prisoner of Azkaban, JKR gives Cedric Diggory a cameo, even though his starring role is not until the next book, Goblet of Fire. If even Wood admits it was fair, but Cedric was willing to forego a win for a rematch, then he must be a true champion. It's a wonderful, although brief, introduction to the young man whose sense of honor and fair play makes him a winner with Harry in the maze, and then lose his life because of it. Layering characters into stories in this manner reveals the depths to which JKR plots her series. To a reader, a series feels more real and connected when an important character doesn't just begin and end their career in one book. Readers love a sense of interconnectedness and a well thought-out plot. If you're writing a series, plot out each book, its plots and characters, far enough in advance, that you can bring onstage characters from a later story and introduce them to your audience before their closeup. What have you foreshadowed in your story or series? Have you brought on a character even before they had a starring role? JKR uses many techniques to hide the clues she buries in her story and to distract the reader's attention. Over the course of several posts, we'll analyze different ways she does this. Today, let's look at a couple of examples of how she uses lists to hide important clues. They found an unpleasant-looking silver instrument, something like a many-legged pair of tweezers, which scuttled up Harry’s arm like a spider when he picked it up, and attempted to puncture his skin. Sirius seized it and smashed it with a heavy book entitled Nature's Nobility: A Wizarding Genealogy. There was a musical box that emitted a faintly sinister, tinkling tune when wound, and they all found themselves becoming curiously weak and sleepy, until Ginny had the sense to slam the lid shut; a heavy locket that none of them could open; a number of ancient seals; and, in a dusty box, an Order of Merlin, First Class, that had been awarded to Sirius's grandfather for 'services to the Ministry'. 'It means he gave them a load of gold,’ said Sirius contemptuously, throwing the medal into the rubbish sack. That heavy locket is a Voldy-Horcrux, which R.A.B, aka Regulus Black, brought back home for safe-keeping and destruction. Slytherin’s locket is first mentioned in HBP, but notice how it’s hidden here, in an earlier book, in a list of many interesting items, all with curious descriptions. Notice the tweezers scuttling like a spider, or the charmed music box putting them all to sleep. Among such an intriguing list, a simple locket that no one could open is not remarkable. It’s not even listed as the first or last item of the list, where the eye tends to naturally fall. Ron is joking, but hits the truth dead-on. In this list, JKR does put the necessary clue at the end of the list. However, there are two sly Rowling tricks sidetracking the reader from taking note--not only is it an obvious joke, but it’s also third in a list of increasingly absurd jokes, and therefore the most ridiculous, in Ron’s point of view. Learn from JKR--hide clues in a list, but don’t make it the only item of interest that stands out! Hide your clue with disguises either boring or ridiculous. And if you want to be really deceptive, embed the clue in the middle of the list and not the beginning or end. What technique have you used to hide clues in your story? It seems to me that JK Rowling reveals little in public regarding her writing process. I've never heard of her giving a workshop or opening up extensively on how she crafts her amazing stories. So, I always love it when I find anything she has shared throughout the years. Harry Potter's Realm of Wizardry, one of the oldest fansites online. Whatever job I had, I was always writing like crazy. All I ever liked about offices was being able to type up stories on the computer when no one was looking. I was never paying much attention in meetings because I was usually scribbling bits of my latest stories in the margins of the pad or thinking up names for my characters. This is a problem when you're supposed to be taking minutes of the meeting. I have to write the story I want to write. I never wrote them with a focus group of 8-year-olds in mind. I have to continue telling the story the way I want to tell it. I've only suffered writer's block badly once, and that was during the writing of Chamber of Secrets. I had my first burst of publicity about the first book and it paralysed me. I was scared the second book wouldn't measure up, but I got through it! I write what amuses me. It's totally for myself. I never in my wildest dreams expected this popularity. There's no formula. Sometimes the ideas just come to me. Other times I have to sweat and almost bleed to make ideas come. It's a mysterious process, but I hope I never find out exactly how it works. I like a mystery, as you may have noticed. I can write anywhere. I made up the names of the characters on a sick bag while I was on an airplane. I told this to a group of kids and a boy said, "Ah, no, that's disgusting." And I said, "Well, I hadn't used the sick bag." As writers, whether consciously or unconsciously, we employ the use of archetypes to transport our characters better into the reader's mind. In my understanding, there are two types of archetypes: those I like to call character archetypes which distinguish personalities (the nurturer, the librarian, the femme fatale, the bad boy), and another set I call storyline archetypes (the hero, the trickster, the shadow, the mentor, the threshold guardian) which defines that character's role in the story. Each of these sets of archetypes deserve a post on their own, which I will do in the future. Today, however, I'd like to focus on one particular storyline archetype--the threshold guardian. From the Portrait of the Pink Lady, to Dobby sealing the entry to Platform 9¾ in CoS, to the grindylows guarding the “treasures” in the lake during the Triwizard Tournament, Harry encounters numerous thresholds and their guardians throughout the series. However, I’d like to focus on one type of Gateway and Guardian to look at closer. In his book The Writer's Journey, author Christopher Vogler talks about the Law of the Secret Door (p. 112-113) (also related to Carl Jung's "Forbidden Door"). 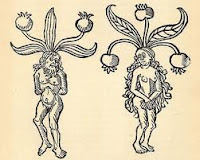 Many myths include a set-up whereby the heroine is told she must never eat from a certain tree, never open a certain box, or never pass through a certain door, upon pain of death. Of course the myths I’m referring to are Eve in the Garden of Eden, Pandora with her box, and Belle in Beauty and the Beast. We all know what happens, what is sure to happen anytime this sort of situation presents itself in a story. If you have children, you probably have this happen quite regularly in your life as well. The power of curiosity is universal. In the words of the immortal Dumbledore, "Curiosity is not a sin.... But we should exercise caution with our curiosity... yes, indeed" (p. 598, GoF). Whereas later in the series Harry more strongly develops his own driving need to set the world right by stopping Voldemort, in the first three books, curiosity is one of the prime motivators driving on Harry, Ron, and Hermione. Beyond these first three books, the Secret Door and its Guardian gets a bit murkier, but they’re still there. Guardian: Pseudo Mad-Eye. This is an interesting one because not only is Pseudo Mad-Eye the portal’s Guardian, he’s also a shapeshifter in disguise. Talk about combining your archetypes! One technique I think JKR uses excessively well is to employ the power of human touch to SHOW emotion rather than to tell. Throughout her stories, JKR utilizes words conveying touch between her characters to express the heights and depths of what her people are feeling. You can guarantee, in a high-intensity scene, there's going to be a lot more touching going on. Then a pair of hands seized him roughly and turned him over. ...Harry let go of the cup, but he clutched Cedric to him even more tightly. He raised his free hand and seized Dumbledore's wrist, while Dumbledore's face swam in and out of focus. With touching words such as “seized” and “clutched,” the power of Dumbledore's fear and Harry's mounting anxiety are powerfully conveyed. The reader can feel the emotions, rather than being simply told that Dumbledore was afraid and Harry was traumatized. ..."When did it appear?" asked Dumbledore, and his hand clenched painfully upon Harry's shoulder as he struggled to his feet. How satisfying is it for the reader to see, to feel, Harry taking care of his mentor. Here Harry becomes the strong one, and this is actively conveyed through numerous “touching” verbs. ..."There may be a certain amount of scarring, but if you take dittany immediately we might avoid even that...come..."
He supported Malfoy across the bathroom, turning at the door to say in a voice of cold fury, "And you, Potter...you wait here for me." "Pushing," "knelt," "traced," "wiped," "lifted," and "supported." The power of human touch, of healing...in Snape's hands. Look for places where you can weave more touch, in all its varied forms, into your story. Especially consider scenes of climax and passion. And don't limit touch to your hero and his friends. After all, not all touches are good. Touch is elemental, archetypal even. It transcends centuries, and cultures, and the sexes. It has the power to convey emotions as far ranging as love from hate and trust from betrayal. Touch is a powerful word-tool in your arsenal. How have you employed this tool in your story? Again, heartfelt thanks to all who entered. 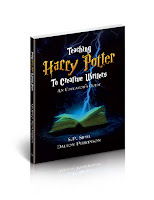 And please keep coming back to my blog and join in the discussion on what writers can learn from studying JKR's craft!